I might be a little jaded. But every time I see a business claim that it is been “green” (i.e., environmentally responsible out of the goodness of its heart), it just so happens that the business is doing something self-serving and primarily for profit that also happens to use less paper. There’s nothing wrong with boosting profits. It’s what you should do in business. But must we use the green claims in such an almost sacrilegious way? Do marketers think we’re stupid and that we’ll support anything that mentions a green benefit? They must. 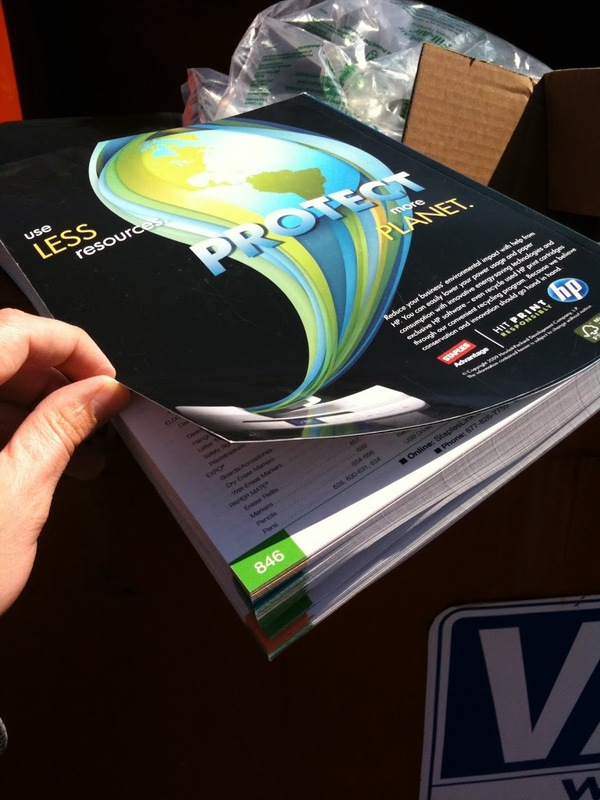 Because how else could you explain a company putting a promotion to “Use less resources, protect more planet” on the back of a EIGHT HUNDRED AND FORTY SIX PAGE CATALOG?!?!?!? !